Everyone knows that tobacco is harmful to your health, but many people believe that smokeless tobacco doesn’t fall into the same category. Just because it’s smokeless doesn’t mean it’s harmless. It’s dangerous for your overall health, but also for your oral health. Here are some possible oral health outcomes of using smokeless tobacco. Smokeless tobacco contains sugar, which combines with the plaque on your teeth to damage your tooth enamel and cause decay. Placing chewing tobacco in your mouth at the same spot over and over can permanently damage your gums. It can also harm your bone structure. Your irritated gums may pull away from your teeth, expose your tooth roots, and leave your teeth painful and susceptible to decay. Receding gums sometimes also loosen your teeth and cause them to eventually fall out. Smokeless tobacco stains your teeth, causing embarrassing yellow and brown discoloration. It is extremely difficult to remove with normal brushing, and even professional teeth whitening may not completely remove these stubborn stains. Your breath will suffer from tobacco products of any kind. Don’t be fooled into thinking that mint-flavored smokeless tobacco hides the problem. Smokeless tobacco can be gritty and scratch your teeth, wearing down the enamel. Loss of tooth enamel increases sensitivity and may require treatment. The consistent placement of tobacco inside your gums and the irritating juices accompanying it can cause a pre-cancerous condition called leukoplakia. All smokeless tobacco contains cancer-causing agents, which subject users to higher cancer risk in the oral cavity, larynx, esophagus, and pharynx. Wisdom teeth, your third set of molars, are named that because they are the final teeth to erupt. They usually come in between ages 17 to 25, and are located in the very back of your mouth on the top and bottom. Your dentist will examine you to find out if your wisdom teeth are properly positioned and healthy. If they aren’t, your dentist will recommend removal. How do you know wisdom teeth should be removed? 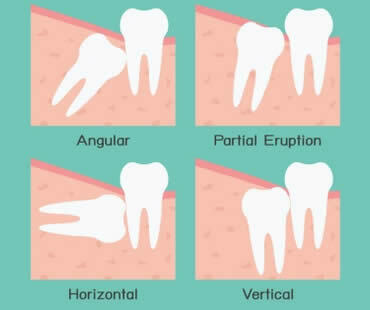 Some of the signs there is a problem with your wisdom teeth include pain, infection, cysts, gum disease, damage to nearby teeth, and tooth decay. If you experience any of these symptoms, see your dentist for an examination. Sometimes your teeth just don’t have room to grow in properly. They can erupt at angles within your jaw, sometimes even horizontally. If wisdom teeth aren’t able to erupt normally they can become trapped, or impacted, inside your jaw. Symptoms of impacted wisdom teeth are pain, infection, and swelling. When teeth are impacted, they can lead to serious problems. Many dentists want to avoid impacted teeth and therefore remove your wisdom teeth before they erupt or grow too big. Are there less obvious reasons to remove wisdom teeth? It’s not always clear when these teeth way in the back of your mouth are causing problems, or might in the future. Many dentists remove them in teens or young adults so they don’t cause problems later, or become too firmly planted in the jaw. Also, sometimes wisdom teeth are removed as part of orthodontic, periodontal, or restorative treatment plans. What happens if I don’t have them removed? Some dentists prefer to wait and see what happens with time to your wisdom teeth. Make sure you continue to have these teeth monitored, because the risk of problems doesn’t go away with age. Removing wisdom teeth isn’t always necessary, because if there’s room in your mouth and they come in properly, they work just like any other teeth. The key is to watch them to make sure problems don’t arise in the future. 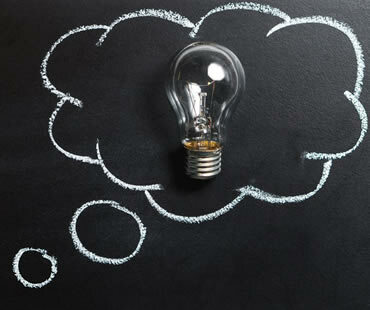 Selecting a provider and dental office that fits your personality will make you more likely to keep your appointments. Although your dentist’s primary concern is your mouth, overall wellness can impact your dental health. For example, chronic health issues like diabetes and HIV can increase your risk for gum disease. Your dentist needs to know the names and dosages of any medicine you take regularly. Certain medications, such as pain relievers, allergy medicines, and anti-depressants, can cause dry mouth, which may make you susceptible to dental problems. Sometimes, you may develop a toothache or notice bleeding gums between your visits. Don’t ignore these symptoms because they may indicate bigger problems. The longer you wait to address any issues, the more time and money you will lose. For some people, dental visits cause anxiety or fear. Let your dentist know exactly what worries you. Most doctors want you to feel relaxed and comfortable, so they will take time to answer your questions and help you feel at ease. Approximately 33 percent of people squeeze their toothpaste from the middle. As early as 700 BC, people carved false teeth out of animal bones. During ancient times, the barber cut your hair, gave you a shave, and extracted injured teeth. Each year, Americans fork out more money on hair care and lottery tickets than they do on their dental health. In 1994, a West Virginia inmate scaled a wall and escaped prison using a rope made from dental floss. Modern toothpaste was first manufacture by the Colgate Company. People brushed their teeth with twigs or their fingers before toothbrushes were invented. Poor individuals sold their teeth to the wealthy during the 18th century and these people used them as replacement teeth. Surprisingly, cows don’t have upper teeth. The Mexican version of the Tooth Fairy, called the Tooth Mouse, takes the lost tooth and leaves behind a small gift. To win the 1986 National Spelling Bee, the top contestant correctly spelled odontalgia, another word for toothache. When asked, 73 percent of Americans said they would rather grocery shop than floss their teeth. Although your oral health is of utmost importance, it’s not the only thing to consider about your smile. There is a specialized field of dentistry that focuses on giving you the most appealing smile possible for you. Cosmetic dentistry can turn a crooked, discolored, or otherwise unattractive smile into one that you will want to show off. A relatively new area of dentistry, cosmetic dentists are becoming more and more popular. The goal is to transform your smile into a beautiful one that will last for a lifetime. 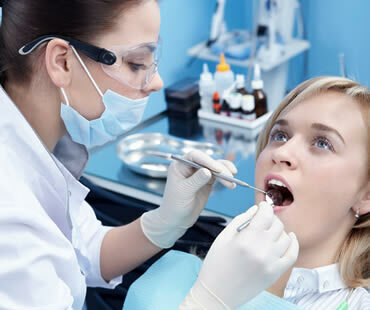 It is usually not difficult to find a cosmetic dentist by asking friends and family, researching on the internet, or asking your general dentist for suggestions for this type of specialist. In additional to improving smiles, you can usually expect a comfortable experience at your cosmetic dentist. A number of the common procedures are not painful, but those that do cause discomfort may be aided with sedation techniques. Sedation dentistry is also an option to relax patients who experience anxiety or fear about visiting the dentist. If you are unhappy with your smile, schedule an appointment with a cosmetic dentist to learn about ways to change your look. Schedule a consultation today to learn more our Cosmetic Dentistry options at our St. Louis dental office. In-office teeth whitening is hugely popular, as you can literally book a lunch time appointment and leave with a dazzling white smile. Surface stains can quickly be eliminated, and teeth can be brightened by up to eight shades in just an hour. This option is the most expensive, and you don’t have much control over the final results. Your dentist in St. Louis will activate the bleaching gel with a special light so the final result should be a stunning white smile. Not everyone wants to whiten their teeth so quickly, and custom-made whitening trays enable you to safely bleach teeth in a more controlled manner. Your St. Louis cosmetic dentist will take impressions of your teeth that are used to fabricate custom-made whitening trays. You’ll be shown how to use these trays, and should wear them for as long as directed. Most people will begin to notice real results within a few days, but they generally need to be used for two or three weeks to achieve optimum effects. Over-the-counter whitening kits come in the form of trays and whitening strips and can cost between $20 and $50 so it’s tempting to think they will save you money. However the bleaching gels contained in these kits are not as strong as those available to your dentist. In addition, there’s the possibility these kits could irritate your gums as ill-fitting whitening trays can allow the gel to leak out. Teeth Whitening and Teeth Bleaching: What’s the Difference? Having a bright, beautiful, white smile is something we all desire. It signals health and prosperity and leaves the best possible first impression a person can make. There are a host of products at the drug store that label themselves “whitening.” Whitening toothpastes, whitening mouth rinses, whitening strips, gels and creams all line the shelves, promising a “new you!” Your dentist, however, offers something labeled as “bleaching.” So what’s the difference? Which should you choose? Your natural tooth is made up of two specific layers: enamel and dentin. The enamel layer is on the outside of the tooth. It’s the white part we see when someone smiles. It’s hard and heavily mineralized and can appear like porcelain. The dentin is the inner layer. It’s yellow in color and supports the enamel on the outside. Over time, your enamel naturally wears away and the yellow dentin color can begin to show through. The term “whitening” is applied to any product that helps restore teeth to a natural color by removing debris and stains from a natural tooth’s surface. Any substance that restores the surface of a tooth’s enamel is a whitening product. Many whitening products contain a mild abrasive that removes leftover discoloration and food particles, leaving the enamel of the tooth smooth and white. Teeth whitening products combat stains caused by ageing and the discoloration left by many foods, or by smoking. The FDA permits the term “bleaching” only for products that can whiten a tooth beyond their initial, natural color. Bleaching products contain active ingredients such as carbamide peroxide or hydrogen peroxide. The peroxide is activated so that it releases oxygen molecules that enter the tooth enamel and break down stains in a way that whitening products cannot. This activation can occur immediately, in the case of some in-office bleaching products, like laser whitening, or it can take several hours, as it can with custom take-home bleaching trays. If you are considering brightening your smile, talk to St. Louis teeth whitening dentist Dr. Nikodem to see what product is best suited to your smile needs! A special area of dentistry has been formed that focuses on making your smile as flawless and appealing as possible. Cosmetic dentistry corrects imperfections that cause people to feel insecure and unhappy with their smiles. If you are one of those people, maybe it’s time to see a cosmetic dentist to give you back your smile and confidence. Here are some of the most common reasons for visiting a cosmetic dentist. One of the biggest complaints that people have about their smile is the color of their teeth. Stains can cause your teeth to become yellow or brown with time, making your smile unattractive and embarrassing. Cosmetic dentists offer teeth whitening techniques that brighten your teeth, and can restore your pearly whites in just one appointment. Gaps in your smile from missing teeth not only look awkward, they also make chewing and speaking more difficult. A cosmetic dentist can replace your missing teeth with dental implants, bridges, or dentures. Implants have become increasingly popular because they provide a permanent, comfortable, and natural-looking solution for missing teeth. Cosmetic dentists can solve a variety of other imperfections that make you unhappy with your smile. Veneers improve the shape and color of your teeth by covering the fronts of your teeth with thin shells. Dental fillings and root canals resolve problems often linked to tooth decay. Crowns are used to cover an unhealthy tooth and restore its strength, shape, size, and appearance. They also may be used in conjunction with dental bridges to correct gaps in your smile. There is no reason to go through life ashamed of your teeth. Make an appointment with a cosmetic dentist to see how your smile can be improved to get the bright, beautiful smile you desire. Each year, more than 30,000 Americans receive an oral cancer diagnosis. Unfortunately, less than 57 percent will live beyond five years. In fact, the death rate for oral cancer is higher than cervical cancer, Hodgkin’s disease, brain cancer, and liver cancer. Usually seen in older patients, oral cancer in individuals under 40 is on the rise. • Early detection increases the survival rate to almost 90 percent. • Initially, oral cancer patients may have few obvious symptoms of the illness. • Certain factors, such as gender, lifestyle choices, and age can increase your risk of developing oral cancer. 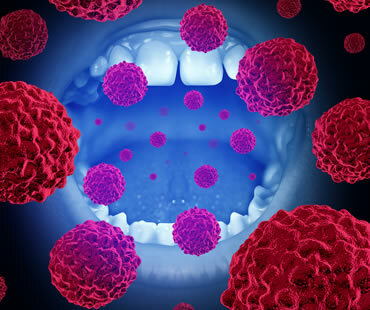 An estimated 25 percent of oral cancer patients, however, have no risk factors for the disease. • Famous people who have battled oral cancer include Michael Douglas, Roger Ebert, Aaron Spelling, Humphrey Bogart, Eddie Van Halen, and Babe Ruth. • Signs of oral cancer include a sore that does not heal after two weeks, color change in oral tissue, hoarse or scratchy throat, and difficulty with chewing or swallowing. • Side effects of oral cancer may include chronic discomfort, loss of oral function, and difficulty in chewing, swallowing, or speaking. • Research suggests that a diet rich in fruits and vegetables decreases your chances of developing cancerous lesions. • Routine dental visits allow your dentist to look for signs of oral cancer, which can lead to early detection if there is a problem. • Tobacco and alcohol use can result in a 75 percent chance of receiving an oral cancer diagnosis. If you have diabetes, this condition can impact your overall wellbeing, including your oral health. An estimated 24 million Americans have diabetes, and many may not realize the affect it has on your teeth and gums. The link between diabetes and oral health has to do with blood sugar levels. 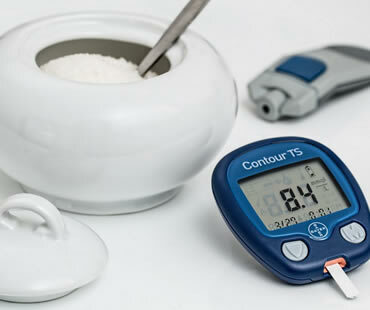 Regulating blood sugar is an important component of diabetes management. If your blood sugar is out of whack, you can have problems. Uncontrolled diabetes hinders white blood cells, which help fight off bacterial infections in the mouth. Research has shown that keeping blood sugar levels steady can lowers the chances of major complications of with the eyes, heart, and nerves. Apparently, watching these levels also helps avoid oral health problems as well. Dry Mouth – When your blood sugar is not regulated, it can decrease saliva production, which can lead to dry mouth. Inflammation and Gum disease – With diabetes, patients face impairing of white blood cells and thickening of the blood vessels, reducing the flow of nutrients and the removal of waste in the mouth. These factors compromise the body’s ability to fight infection, so the risk for gum disease increases. Poor healing in the mouth – If you don’t have the diabetes under control, healing throughout the body take longer, including with any dental procedures. Thrush – A fungal infection of the mouth and tongue, thrush can occur in diabetics if their sugar levels are inconsistent because this fungus is very receptive to the high glucose levels in the saliva. Patients with diabetes can keep their mouths healthy by following good home health care, scheduling dental visits every six months, and keeping your dentist informed about the status of your diabetes. Make sure to give your dentist contact information for your primary physician so that they can coordinate your complete health care. The changing seasons can prompt many people to want to change their appearance, perhaps through treating themselves to a brand-new smile. Your dentist in St. Louis can provide a number of different cosmetic dentistry and restorative treatments to help provide a beautifully healthy and natural looking smile. Modern dentistry techniques are extremely sophisticated and your dentist can do a lot to improve your smile. Possible options include porcelain veneers that cover the front surfaces of your teeth, crowns to restore teeth damaged by tooth decay or trauma, dental bonding that helps improve the shape of the tooth in just one easy visit, and enamel reshaping to correct minor issues such as slightly overlapping teeth. Dental implants can be used to replace missing teeth, transforming a gappy smile into something far more pleasing. Professional teeth whitening can quickly brighten up your smile, creating a youthful and healthy appearance. Your dentist in St. Louis can offer you in-office whitening that will lift the shade of your teeth in just an hour. If you prefer, you can have custom made whitening trays to use at home. Your dentist will provide you with the correct strength of whitening gel to safely bleach your teeth. It’s never too late to straighten your teeth and adult orthodontics is increasingly popular. Ask your dentist about Invisalign clear braces that will discreetly straighten your smile without really affecting day-to-day activities. Your first step should be to schedule an appointment for a checkup and professional cleaning. Your dentist will need to examine your mouth to make sure your teeth and gums are healthy before carrying out any cosmetic dentistry treatments. They’ll discuss the type of options that might help you, and can compile a treatment plan to improve your smile. A professional cleaning removes tartar buildup and gives your smile an added sparkle. It’s a great treatment for keeping teeth and gums healthy. Many oral surgeries go beyond simply removing a tooth, and the cause is not always related to poor dental hygiene. Some reasons for oral surgery just can’t be predicted or avoided, such as injuries, birth defects, or cancer. Great strides have been made in oral surgery, especially for restoration and reconstruction techniques. These are some common reasons that oral surgery is advised. Replacing missing teeth with dental implants requires oral surgery so that the titanium implant can be inserted into the jaw. Providing an alternative to dentures and bridges, implants offer a secure and permanent solution that looks very natural. Candidates with adequate bone density, good overall health, and who practice proper oral hygiene are considered for implant surgery. 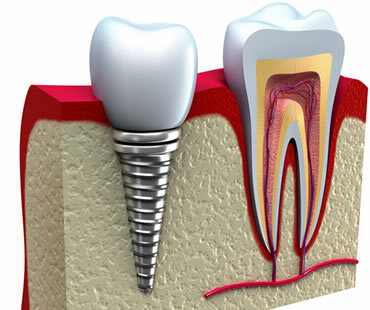 After the implant heals, a crown will be placed on top to complete the restoration. One of the most common oral surgeries is to remove impacted wisdom teeth. Often occurring during the late teen to early adult years, wisdom teeth are unable to erupt properly and must be extracted to prevent future problems. 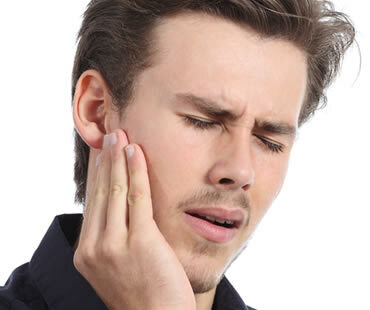 Temporomandibular joint disorders involve the joint where the skull and lower jaw come together in front of the ear. Facial pain, headaches, popping, and jaw problems can result, and dentists try to treat the disorder with solutions like splints, physical therapy, and medications. Severe cases can require surgery to fully correct the TMJ problems. Car accidents, sports injuries, and other trauma can cause broken facial bones or jaws. Surgery may be necessary to realign the jaws, wire bones together, and otherwise repair the injury so that normal function and comfort can be restored. Birth defects like a cleft lip or palate are corrected through oral surgery. Usually a series of surgeries over a span of years is needed to improve the appearance and proper function of the areas affected by the birth defect. Surgery is performed to remove cancerous tumors or lesions in the jaws or facial bones. This is especially true when the joints or connecting muscles and tendons are involved. Dental implants are the best restorative choice for replacing a tooth that is missing. Whether the tooth has come out due to some kind of facial trauma or an infection or other issue, dental implants are the solution. The real difference in quality between a dental implant and other restorations such as bridges lies in the fact that the dental implant is placed directly into the patient’s jawbone, eventually fusing there through a process known as ossification. Over time, ossification provides the kind of tooth base that is only seen elsewhere in natural teeth. When a dental implant is successful, it is as secure and as natural looking as a patient’s own original teeth; however, in some cases, dental implants fail. Sometimes they fail repeatedly. What’s causing these dental implant failures? Here are some potential causes. Sometimes the implant doesn’t fuse with the bone and the bone shrinks away from the implant, leading to implant mobility or even the implant falling out. Patients who have weak bones due to age, osteoporosis, years of being edentulous (toothless) or another medical condition will find dental implants more challenging. If you’ve been having issues with failure to ossify, your dentist might recommend a bone graft to rebuild the jawbone to a healthy level so that dental implants can properly fuse. In other cases, persistent infection may result in repeated implant failure. Signs of infection are continuous bleeding, swelling at the implant site or acute inflammation of the gum tissue at the implant site. Pus may be evident, or a bubble might appear on the gumline. Some health issues such as diabetes, auto-immune disorders or treatments like cancer therapies can weaken the immune system and leave the implant site vulnerable to infection. Your dentist might prescribe antibiotics or recommend you see an endodontist for a root canal treatment. If you’re concerned about your dental implant, talk to St. Louis dentist Dr. Nikodem right away. Find out what steps you need to take to ensure that your dental implants are successful. Babies obviously can’t take care of themselves, so parents have to handle all aspects of their care. Don’t forget their oral health! Parents need to lay the groundwork for lifelong good dental habits and healthy smiles for their children. Here are some answers to common questions about baby teeth. Primary, or baby, teeth are important. They help children chew naturally and speak clearly. They provide the place for adult teeth to grown in properly later. Should I brush my baby’s teeth? You should brush your baby’s teeth without toothpaste, using a small amount of water instead. Use a small, soft-bristled toothbrush at bedtime to remove plaque and bacteria from your baby’s teeth and gums. When can I start using toothpaste? Fluoride toothpaste can be implemented after age two, when a child can be trusted not to swallow the toothpaste. Only use a small amount of toothpaste, and watch the child carefully to ensure proper brushing and spitting out the toothpaste. Experts recommend taking your child to the dentist when their first tooth appears, or by their first birthday. Your child should be taken for dental visits every six months, or more often if your dentist has concerns. Do I need a certain type of dentist for my child? You may choose a pediatric dentist who has been trained specifically to treat children. Their goal is to teach children about oral hygiene and the importance of taking care of their teeth, as well as provide a comfortable experience in visiting the dentist. However, you may also choose a regular dentist to take care of your child’s oral health. It is up to you to decide which kind of dentist is right for your family. Get Rid of the Guilt – You Deserve a Smile Makeover! Have you always disliked your smile? Did childhood school pictures find you smiling closed-lipped and tense? Did you spend your teens fearful of making personal connections? As you aged, did you find yourself facing more and more mounting oral difficulties? Dental problems are difficult enough to deal with when it’s just one or two cavities or a problem remembering to floss, but when you’re dealing with a lifetime of bad oral health, it can become so much more. Often, those who need the most professional oral care are those who avoid it completely. Many have had negative experiences in the dental chair as children, or are fearful of the pain or process that is necessary to makeover a smile that’s been unattractive and unhealthy for most of the patient’s life. These patients sometimes avoid professional care because of shame and embarrassment, fearful that the dentist is going to judge them. Smiles go bad for many, many reasons, some of which are completely out of the patient’s control. Poor nutrition growing up because of a lack of money or parental education can be a large factor. 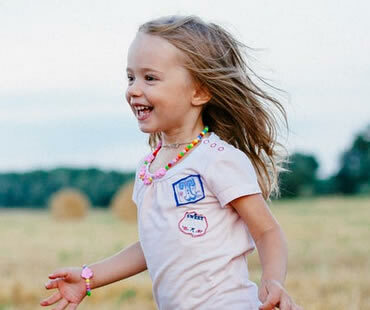 Some medicines, if taken during childhood, can cause adult teeth to degrade, and there are many genetic factors that can be passed on to a child that leads to extremely poor quality teeth. If this sounds like you, don’t let shame in your situation keep you from getting the smile you always wanted. Find a skilled cosmetic dentist in St. Louis and schedule a consultation. Nothing has to be done at this first meeting, it’s just talking to the dentist. If that dentist isn’t helpful and supportive, get up and walk out and find yourself another dentist. The majority of cosmetic dentists understand the backgrounds that can lead to poor oral care. It can have nothing to do with how much you brush or floss, but everything to do with your history. You deserve to have the smile you’ve dreamed of all your life. Don’t let fear or shame hold you back. Work with your cosmetic dentist to make a plan, and take the first steps you need to completely makeover your smile! Dentistry today does not just include treatments for tooth and gum problems or diseases. The trend in dentistry has expanded to include a wide range of treatments and procedures with the purpose of improving your appearance. The purpose of cosmetic dentistry is to give you the most appealing smile possible so that you can be happy with your look and have an improved self-esteem. Here are some trends in cosmetic dentistry explained. Mild to severely damaged teeth can be treated with dental bonding. A tooth-colored material is applied to the fractured or chipped surface of your tooth and then bonded with a special light. The restoration provides a renewed look to your tooth so that others can’t even tell it was ever damaged. 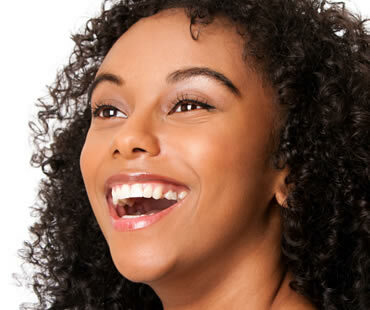 A bright white smile gives of a great impression of oral health and beauty. Stains from age, foods, drinks, and habits like smoking all play a role in making your smile dull and unattractive. Cosmetic dentists offer teeth whitening procedures that can turn your smile around in just an hour. Another way to easily improve your smile is dental veneers. These thin shells usually made of porcelain are permanently adhered to the fronts of your teeth, giving you a bright and flawless smile for many years to come. Instead of having lengthy orthodontic treatment to correct crooked teeth or uneven spacing, contouring is an option to improve your look. Also called tooth reshaping, this procedure is additionally used to correct irregularly shaped teeth and alter issues like overly pointy teeth. During contouring, small amounts of tooth enamel are removed in order to change the tooth’s shape, length, or surface. To replace missing teeth, dental implants are dentures are both options depending on the patient and the specific situation. Many people prefer implants because they are a permanent and secure solution. How much do you really know about your mouth? Most people understand basic brushing and flossing, but they may not realize the myriad of factors that influence dental health. Knowing how your lifestyle impacts your teeth and gums can help you make the best choices to protect your smile. True or False: You don’t need to floss every day. Answer: False. Brushing alone won’t protect your mouth from decay or gum disease. Floss gets hard-to-reach areas, cleaning out the plaque and bacteria that wreak havoc on your oral health. True or False: Taking care of your tongue is important, so you should brush it regularly. Answer: True. The tiny bumps on your tongue called papillae trap food and bacteria, which can cause bad breath. Brushing twice a day will keep your breath smelling great. True or False: Soft drinks and sports drinks don’t damage teeth. Answer: False. These beverages, as well as red wine and fruit juices, can lead to enamel erosion. It’s best to stick with water, but if you consume these drinks, rinse your mouth when you finish. True or False: It’s okay to put your baby to bed with a bottle of juice or milk. Answer: False. When you let your baby or toddler fall asleep with anything but water, you increase the risk of baby bottle tooth decay. This condition occurs because of prolonged bottle feeding, usually during sleep. Young children don’t have good plaque removal, so these beverages provide a breeding ground for bacteria. True or False: Fluoride reduces decay 20 to 40 percent. Answer: True. Drinking water with fluoride strengthens tooth enamel and also reduces the amount of acid that the bacteria in your mouth produce. Since fluoride was added to the drinking water supplies across the country, childhood cavity rates have dramatically dropped. 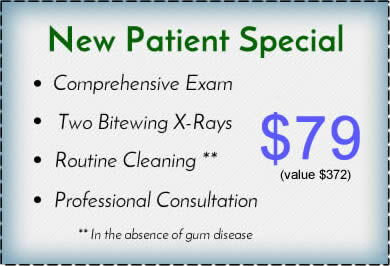 Schedule a dental cleaning appointment today at our St. Louis dentists office. Your smile can be one of your strongest assets, or it can be one of your biggest detriments if you don’t take care of it! Studies show that people are more likely to underestimate your age if you are smiling. On the flip side, a smile containing yellow or damaged teeth has the opposite effect of making you appear older. Luckily, there are many options available to help. Here are some tips for achieving an awesome smile. Many people are in the habit of brushing their teeth every day, but flossing is often neglected. It’s the best way to get rid of plaque and bacteria in those hard-to-reach areas around your teeth. Otherwise, food particles and bacteria will build up and harm your teeth and gums. Strong teeth and jaw bones are a sure way to a healthy mouth. Calcium, most often found in dairy products and vegetables, will help you develop strong teeth and bones. Vitamin C, often found in citrus fruits and vegetables, also strengthens teeth by repairing tissues and preventing bacteria from accessing your gums. Some foods and drinks have a negative effect on your oral health. Avoid sugary foods, sodas, and sticky items. Foods high in acid content can weaken your tooth enamel. Also steer away from foods and beverages that commonly stain teeth, like coffee, red wine, and dark berries. If you consume staining foods, perform good dental hygiene afterwards. Teeth whitening at your dentist’s office is effective and provides quick results. A less expensive whitening option is done at home with products you can purchase at your drugstore. Whitening strips and toothpastes can help brighten your smile, although you have to be more patient than with the professional methods. Believe it or not, your makeup techniques can help your smile appear brighter. Lipstick shades with a blue undertone and bronzer make ups that darken the skin both provide a greater contrast to your teeth and help them look brighter. Most people would rather do anything than have a root canal. Unfortunately, this procedure receives a bad rap. A root canal is generally performed to clean out an infected tooth and prevent future problems. Usually, patients feel better after root canal therapy. Knowing the truth about root canals may help you feel less apprehensive if your dentist recommends this procedure. Actually, the pain you feel is caused by the swelling and pressure in your tooth. When a tooth sustains severe trauma, the pulp, or soft nerve center, may die. During a root canal, your dentist will remove the damaged tissue, disinfect the tooth, and seal off the inside. Most people only experience mild soreness afterwards, if they feel any discomfort at all. Root canal therapy takes many appointments. 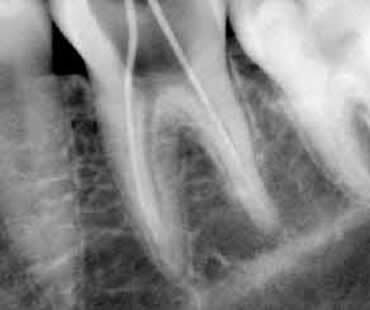 Although this timing depends on the severity of the case, most root canals are completed in one to two appointments. Once your dentist finishes the root canal, you will probably need at least one more visit for restoration of the tooth, usually with an inlay, onlay, or crown. I only need a root canal if my tooth hurts. Pain often lets you know you have a problem with a tooth, but if your tooth root dies you may have no symptoms. The dentist can perform tests to determine the health of a tooth, including temperature and percussion testing. The root canal won’t last. Once the tooth is cleaned and sealed, you should have no further problems with the tooth. Sometimes the restoration of the tooth fails, which can causes the tooth to crack or break. This usually occurs if you wait too long to have a crown or adequate filling placed. 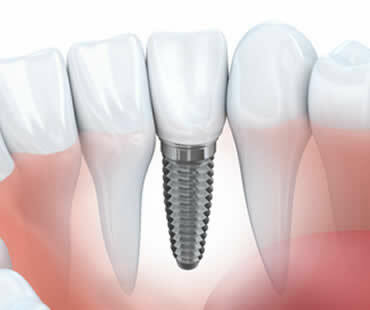 A dental implant replaces missing teeth by providing an artificial root and tooth. This type of restoration is a permanent solution that gives you back the appearance and function of your mouth. Implants match your real teeth and fuse right into your jaw bone. Implants can be used to replace a single missing tooth or an entire section of teeth. Dental implants vastly improve the way your smile looks. There are no more visible holes, and the restoration blends right into your smile. Your face and jaw will also have less risk of appearing sunken, as can occur when teeth are missing. Missing teeth can cause you to slur or mumble when you speak. Dentures that don’t fit properly can also result in speech issues, so permanent and secure dental implants alleviate speech concerns. Once your implants become part of your jaw, you will likely not even remember you have them. They are very comfortable, and you can also maintain your normal diet. Implants allow you to avoid the problems that dentures have of slipping and discomfort. Implants act just like your regular teeth. Chewing and biting are the same as with your natural teeth, and in fact your implants will likely be even stronger than your other teeth. With proper dental care, implants can last your whole life. Your natural teeth remain unaffected by the implants, and you can continue with your regular oral hygiene routine. Your self-esteem will be restored when you have your complete smile back. You will feel confident in smiling, talking, eating, laughing, and everything else you do. Tooth pain that occurs when you eat or drink something cold or hot is an indicator that your teeth are overly sensitive. It can also result from eating sour or sweet foods, and sometimes just from breathing in cold air. Usually tooth sensitivity happens when your enamel has worn down, exposing the inner part of your tooth where sensitive nerves are located. It’s important to know what kinds of things may trigger tooth sensitivity, in hopes of avoiding it in the future. Decay leads to cavities, which are holes in your teeth or damage to their structure. Tooth decay and the resulting cavities are often preventable with good dental care. If you develop a cavity, however, it’s vital to get it repaired so that area of your teeth doesn’t become overly sensitive and painful. Early gum disease, called gingivitis, is usually caused by poor dental hygiene that leads to gum inflammation and redness. Your gums may bleed easily and become sore. As gingivitis worsens, your gums can recede and expose the roots of your teeth. Your roots contain nerve endings, and sensitivity will likely increase. Accidents to your teeth or gums may lead to sensitivity. Fractured or knocked out teeth are certainly susceptible to painful sensations in your mouth. Many people who use teeth whitening methods complain that their teeth become more sensitive with use of these products. Some whitening techniques cause this sensation more than others, so you may have to try several if you want to pursue teeth whitening without the sensitivity. One way to treat this problem is to use toothpaste intended for sensitive teeth. Also, avoid foods and drinks that tend to increase your symptoms. If you do consume items that cause discomfort, gently brush your teeth afterwards to help reduce the effects. Porcelain veneers have become a popular option in the past few years for dental patients who wish to brighten and repair their smile. While traditional porcelain veneers offer a lifelike quality and excellent durability, their placement usually requires the removal of some of the tooth surface enamel, which is an irreversible procedure. A promising solution for patients who wish to avoid altering the tooth structure are no-prep or minimally invasive veneers. No-prep veneers offer the same advantages of traditional veneers but eliminate or reduce the need to grind, cut, or file down the teeth. Lumineers are one of the most popular of the “no-prep” variety of veneers. Lumineers use an extremely thin veneer that is placed on the front side of your teeth. The placement of Lumineers does not require the modification of the natural tooth structure or the use of temporary veneers. Lumineers produce beautiful smiles for patients who prefer to not physically alter their teeth. DURAthin veneers are similar to Lumineers in that they require no modification of the tooth structure or filing of the enamel. DURAthin veneers utilize very thin customized porcelain shells that match the shape and color of your teeth. These shells are roughly the width of a contact lens and are bonded to the front of your teeth. Because of their size and shape, DURAthin veneers are an ideal choice for correcting minor cosmetic dental issues. Vivaneers are among the thinnest veneers available, making them easy to apply in as little as one office visit. Because they require no preparation to your natural tooth, there is no need for shots, drilling or anesthesia. If you are unhappy with the results, Vivaneers are easily reversible. To find out if these or other “no-prep” veneer options would be a solution for improving your smile, schedule a consultation with a St. Louis cosmetic dentist Dr. Nikodem . As with any surgery, there are benefits and risks that come with getting dental implants. This procedure to replace missing teeth is becoming increasingly popular, so here are some things to know if you are considering this type of treatment. Appearance – implants blend in with your smile and look very natural. Comfort – they function and feel like natural teeth. Support – implants support your jaw and avoid a “caved in” look to your face, preserving your youthful appearance. Sensitivity – many patients have less tooth and gum sensitivity after getting implants. Adjacent teeth – neighboring teeth are not affected. Durability – implants are usually there for life, not needing surgical replacement. Even if the artificial tooth needs replacing, it can be done without surgery. Speech – dental implants allow you to speak clearly, as you would with your real teeth. Bone loss – titanium posts implanted into your jaw can help prevent bone loss and gum recession. Infection – gums and tissue may become infected without proper oral hygiene. It’s important to follow all recovery and maintenance instructions carefully. Failed integration – sometimes implants do not integrate properly with the bone. If the implants do not fuse, they can be uncomfortable or loose. When this happens, implants must be removed and can be redone after the area has healed. Sinus problems – your sinuses can be affected when implants are placed in the very back of your jaw, sometimes requiring sinus augmentation surgery. Nerve or tissue damage – rarely, implants damage nerves or blood vessels. This can cause pain, tingling, swelling, or numbness. This typically is not a risk when a qualified dentist or oral surgeon performs your implant procedure. If you haven’t been to the dentist in a while, you may not recall the process for a regular checkup. These visits are an important part of your oral health care. If you are in good dental health, your dentist will probably suggest twice-yearly visits. Individuals with gum disease or other oral health concerns may need to schedule more frequent appointments. Feel free to ask your dentist questions or raise concerns at the visit. Because oral health affects your overall wellness, your dentist will want to have a complete picture of your whole situation. A member of the dental team will ask you questions and gather relevant details about your present status. 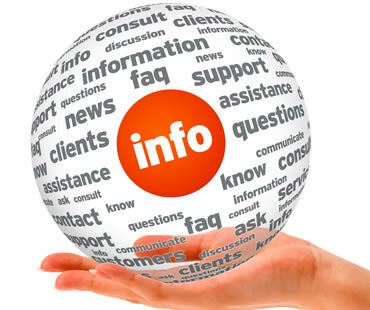 Make sure to provide helpful information like current medications and any pressing issues. 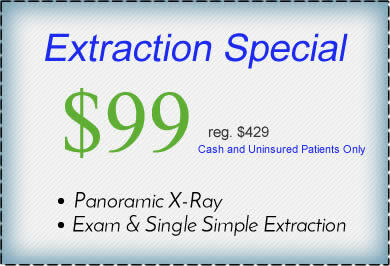 Typically, your dentist will take X-rays about once a year. These images provide a clear view of your teeth and gums. Often, X-rays will identify problems, like impacted teeth, cysts, abscesses, or decay between teeth that might otherwise go undiagnosed. During your checkup, the dentist will perform a periodontal assessment, bite analysis, and tooth-by-tooth inspection. If the dentist discovers a problem, your provider will make treatment recommendations to address the issue and restore your oral health. If everything checks out, the hygienist will typically remove plaque and tartar build-up from your teeth. At this time, the hygienist may also polish and floss teeth to refresh your smile. Did you know that 69 percent of adults have lost at least one tooth? Missing teeth don’t just damage your smile. They can limit your diet, inhibit your speech, and compromise your oral health. Studies show that when one tooth is loss, 20 percent of adjacent teeth may be lost in the next several years if you don’t replace the missing tooth. Dental implants offer patients a solid, attractive way to restore their smiles. Constructed from biocompatible titanium, dental implants are permanent replacements for lost teeth. 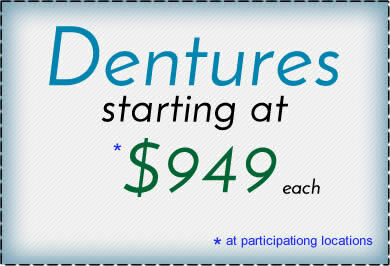 With implants, you can replace one or more missing teeth. 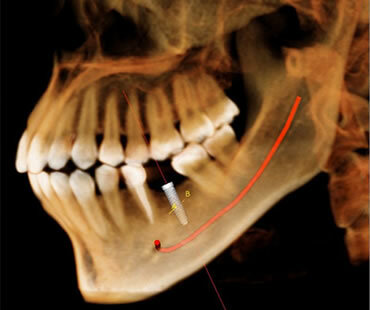 One implant is surgically positioned in the gum line for each empty socket. Usually, your mouth will need three to six month to recover. During this time, the bone will fuse to the posts, creating a solid foundation for the dental crowns your dentist will place on the implants. Designed to look and feel like natural teeth, dental implants are the closest prosthetic to nature. Your implants will blend in with remaining teeth, giving you a full, attractive smile. Because implants aren’t removable, you don’t have to hassle with the messy adhesives or worry about the embarrassing slippage associated with dentures. After implant therapy, patients can smile confidently and enjoy active lifestyles. With proper care, implants will last for years. Treat your dental implants like your original teeth. Brush twice daily, floss frequently, and schedule routine checkups so that your smile will stay healthy and strong.